Australia’s finest casino, The Reef Hotel Casino, which offers a multitude of the best dining, bars and conference rooms and extensive gaming joints is located Cairns, Queensland and the only casino. It is jointly owned by Accor Casino Investments (Australia) Pty. 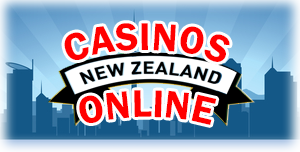 Ltd. And Casinos Austria International (best Australian casino). It was founded in 1992 after the Queensland government called for called for submissions from parties interested in constructing and operate a casino in Cairns. The official commissioning and licensing of the casino took place in 31 January 1996, and immediately trading commenced. When you arrive at the luxurious recreation joint, parking should not be a worry to you. Ample parking of up to 320 on cover carparks as well as 128 luxurious five-star dedicated rooms. Your security, your friends’ and possession is guaranteed as there are private guards and Queensland oversight personnel in casino and gambling joints. 24-hour surveillance is also an available security measure. To ensure maximum relaxation soothing experience while you stay, there is a number of restaurants that offer fresh, delicious food in plenty. There are designated outdoor smoking areas. Another feature that makes the hotel great is the amazing is the presence of harmless and friendly wildlife and plants. If you are a lover of nature, then the hotel is ideal for you. The casino that boasts of having a fine entertainment area and a large indoor LED screen, fixed at the Casino Sports Arena, offers a variety of table games and gambling. The exciting variety of table games found here includes Roulette, Blackjack, Mini and Midi Baccarat, Sic-Bo, Rapid Roulette, Paradise Pontoon and the famous money wheel. It also has state-of-the-art gambling pokies that are over 500 in number ensuring that chances overcrowding on one pokies is minimized. The presence of a TAB mega wall and a dedicated Lounge ensures that you enjoy your stay at the casino. Spending time with your family, friends or even workmates for team building purpose is one activity you should try out, if not try all. There is a breathtaking view over Cairns Marlin Marina for watching nightfall. While on your stay at the hotel, you will not have to change your lifestyle because of lack of basic recreation facilities such as a fitness center and swimming pools since they are available. As a guest, you get an opportunity to explore Cairns and its surrounding wonders because of its location. Guests staying at the impressive hotel are ten-minute-drive away from Cairns Airport hence the convenience of movement to and from the hotel. It is also five-minute-walk from the busy Reef Fleet Terminal. For your shopping, you can easily access shopping stores, bars, souvenir and curio stores that are within easy reach. 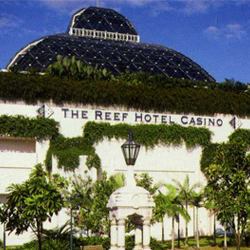 The Reef Hotel Casino opens its door to guests from Sunday to Thursday between 9 am to 3 am, Friday and Saturday from 9 am to 5 am. Age entry to the casino restricted to 18 years and over.